Waterford Institute of Technology has been announced as the Ireland/UK coordinator for a €20m EU-wide SmartAgriHubs project. EU Commissioner for Agriculture and Rural Development Phil Hogan today (July 9) launched (subject to grant agreement) the first of nine regional clusters which will act as a one-stop-shop for two million farmers across the EU and the agri-food industry to access agri tech research and supports. The €20m SmartAgriHubs project aims to build a pan-European network of Digital Innovation Hubs (DIHs) and Centres of Competence in all 28 European member states, coordinated through nine regional clusters. The SmartAgriHubs project is a new way for farmers, advisors and agtech SMEs to engage with research centres and research-active higher education institutions. As part of the project 80 new solutions will be introduced into the market. €6m has been set aside for open calls during the lifetime of the project. 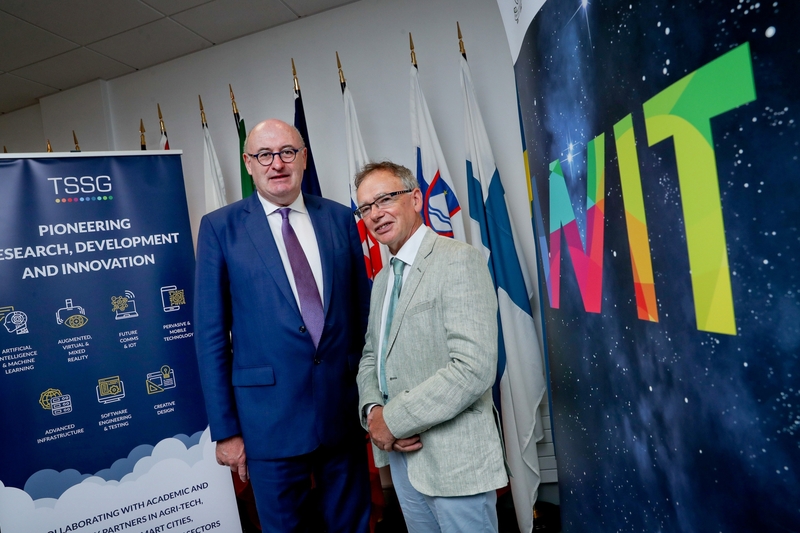 As the coordinator for the UK and Ireland regional cluster, WIT - which has developed smart agri expertise through its Telecommunications Software and Systems Group (TSSG) research centre - will be the central point of contact for farmers, advisors, agtech and agri-food companies who want to avail of technology solutions from across Europe to farming and business problems. Phil Hogan said: “The European Commission has recognised that we need to ramp up our efforts in relation to agri-innovation if we want to maintain our competitive advantage in this century. Agriculture needs to become smarter, leaner and cleaner, while maintaining our trademark EU commitment to high quality and safety standards. Projects such as SmartAgriHubs will lead the way, and I commend WIT for its central involvement. EU Commissioner for Agriculture and Rural Development Phil Hogan with president of WIT Prof Willie Donnelly. Digital Innovation Hubs in each region will have an adequate portfolio of mature innovation services through which farmers, advisors and agtech SMEs can get access to the latest knowledge, technology and expertise in a one-stop-shop.